East Decatur Greenway (EDG) is a nonprofit corporation, with the IRS 501(c)3 designation. Our mission is to create community greenspace, provide environmental education, remediate environmental contamination, and build safe trails for bicycling and walking in this densely populated part of DeKalb County. After 60 years of operation, a small gas station in East Decatur closed down for good. 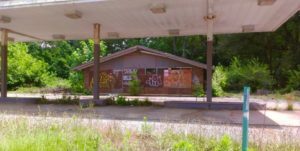 While the business was gone, the storefront remained– and so did its gas tanks, leaking harmful chemicals underground into nearby soil and waterways. This was until East Decatur Greenway stepped in. 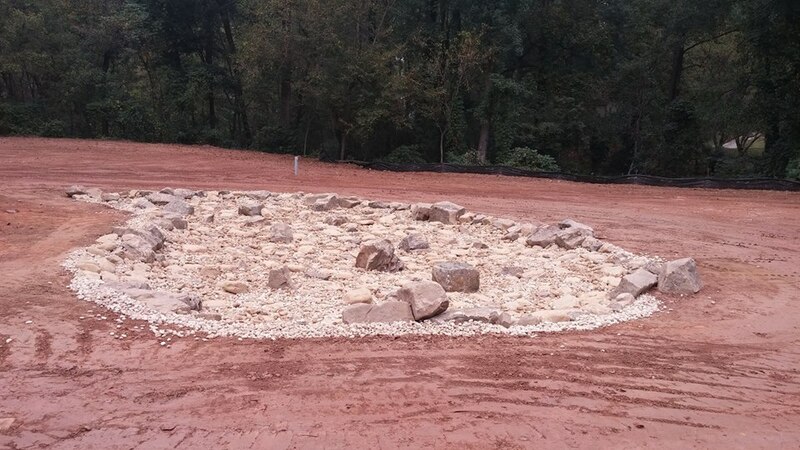 With the initial remediation grant provided by the Environmental Protection Agency, EDG was able to demolish the gas station and its three 8,000-gallon underground storage tanks, leaving room for healthy soil and a rain garden. This property at 890 Columbia Drive, along with several adjacent small parcels created two acres of greenspace to be used by local schools, neighborhood associations, Columbia Presbyterian Church, the Methodist Children’s Home, and many other residents of the area. 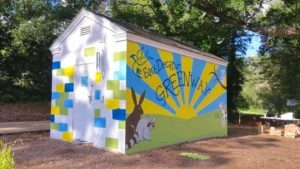 With its official opening in the Spring of 2018, EDG partnered with the Friends School of Atlanta to maintain and improve the new greenspace as future stewards of the land. 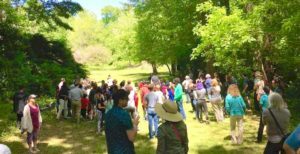 In July of 2018, EDG received additional grant funding by Fish and Wildlife Services to continue environmental education outreach and invasive species removal. Plants like kudzu are periodically removed with the help of partners at Trees Atlanta, community volunteers, and frequent visiting goats. As of 2019, EDG has successfully remediated the environmental contamination at 890 Columbia Drive, thereby contributing to the health of Georgia’s waterways and the local community. 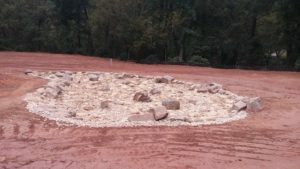 With the completion of the rain garden, EDG officially fulfills all requirements of the Georgia Environmental Protection Division and the US Environmental Protection Agency. To provide alternative transportation, provide safety for cyclists and pedestrians, and to promote healthy lifestyles, the greenway includes a walking and bicycle path extending to the Avondale MARTA station. Looking towards the future, EDG is working on plans for a community food forest and certified wildlife habitat. If you would like to support East Decatur Greenway’s conservation goals to bring both people and animals back to the land, please continue on to our donation page and consider becoming a Friend of the Greenway (FrOGs).